Individuals considering truck driving jobs as a career have made a fantastic decision in regards to their future. It is a fantastic option to explore a profession in the trucking industry. There are a few basic things you’ll want to know. Possessing a Commercial Driving License is required to operate large or heavy vehicles and is one’s first step to entering the rewarding occupation of trucking. The Federal Motor Carrier Safety Administration regulates the rules and requirements for commercial drivers across the country, though each state has its own application process. While there is a minimum age requirement for becoming a truck driver there really is no legal maximum age. The driver must meet the Department of Transportation (DOT) physical requirements can be met which are strict. Driving restrictions don’t just stop at age limits. There are several additional factors involved with the age of the big rig driver that affect the legality of driving. Regardless of their age when they enter the truck driving job market, a rookie driver should be aware that their first year is essentially a year to learn and hone their skills. A driver's age also determines the insurance rates given. 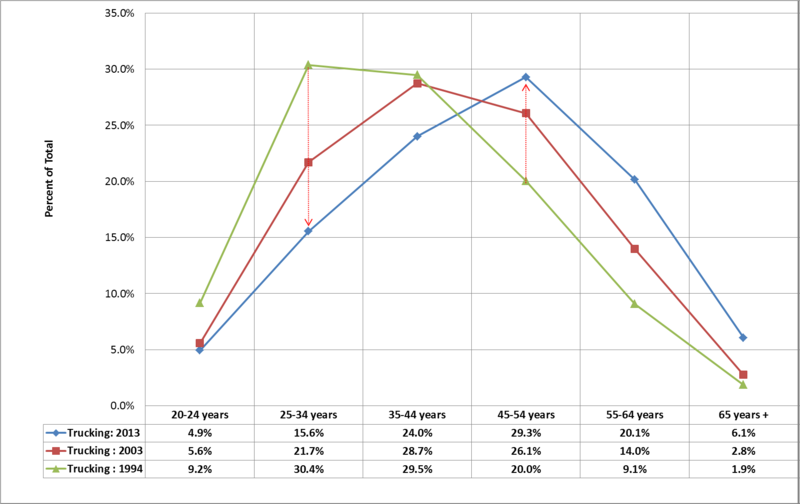 Those who are particularly old or young are statistically found to usually be the ones who get into driving accidents. This makes their insurance rates higher on average. Medically Qualified: As mentioned above, to assure the health of truck drivers, a medical card and Department of Transportation physical must be passed. States may differ in their health and wellness prerequisites, but overall, a history of good health is needed to get a CDL. Becoming a commercial truck driver means you will be transporting goods from one location to another. Commercial trucks are not just oversized cars. Getting behind the wheel of a semi-truck is a privilege and should not be treated lightly. Driving these vehicles requires a unique set of personality traits and characteristics which are not necessarily age specific. Independence: Do you have the type of disposition and personality that can tolerate hours and often days of limited contact with others or even solitude? Whether one is 18 or 58, some individuals are more comfortable than others being on their own. Working as a long-haul truck driver is a major lifestyle choice because drivers can be away from home for days or weeks at a time. Think about your family situation, as trucking can be hard on families and relationships. However, there are many opportunities to drive a truck on local runs, allowing you to get home at night. This type of job can be extremely attractive to those who are young and just starting their families. Self-reliance: There are countless situations that will be encountered where there is nobody else except yourself to support you. The ability to remain calm when challenges arise is more about attitude than age and a necessity in one's job. Discipline: When and if one decides to accept a trucking job, they must, without exception, follow the laws and rules that govern the road, as well as directives from their employer. There are regulations for the number of hours you are permitted to drive at one time, the need to record hours in a log book, testing for controlled substances, obligations for not having any criminal activity and more.If you are young or have trouble obeying these types of working limitations, you may want to look elsewhere for employment. Responsibility: Regardless of your age, truck drivers have a responsibility to their company, to the federal government, to other drivers and to themselves. Owning and using a CDL calls for a strong work ethic and dedication to the position. Operators who haul cargo must accept responsibility when they are asked to work nights, weekends, and holidays. Between working periods, drivers must have at least 10 hours off duty and should be mature enough to get rest and not allow distractions to permeate their life on the road. Tech Savvy: New advances in technology are greatly enhancing the work and life of a trucker. Computers can now track everything from navigation and safety to fuel economy and diagnostics. There are even on-board computers with touch screens for easy communication. Working with computers that supply the driver with information are here to stay and it is no wonder a younger generation is a good match for this industry. If you’re member of the millennial generation, or you’re willing to learn new ways of driving with technological support, this is a great profession to jump into and you should seize the opportunity to join the new wave of technology-oriented truck drivers. Love for the Road. You’ve got to like to drive and while this may sound pretty basic, you need to be honest with yourself. At a younger age, it easy to become impatient and trucking involves a lot of waiting at loading docks, in traffic, and more.If you need to stop every 30 minutes because the stress of a situation gets under your skin or must stop to check your phone multiple times in an hour, trucking might not be the best job for you. If you meet these legal, age, maturity and personality requirements, there is good news! The economy depends on truck drivers to transport freight and keep supply chains moving. There is strong growth ahead. Job security is certainly part of the trucking world. As the demand for goods increases, more truck drivers will be needed. In 2013, the average age of a truck driver was 49 years and in 2015, the American Trucking Associations estimated a driver shortage of up 40,000. This means that trucking companies will need to recruit nearly 100,000 new drivers annually to keep pace with the country's freight needs. The lowest numbers of truck drivers are women truckers. 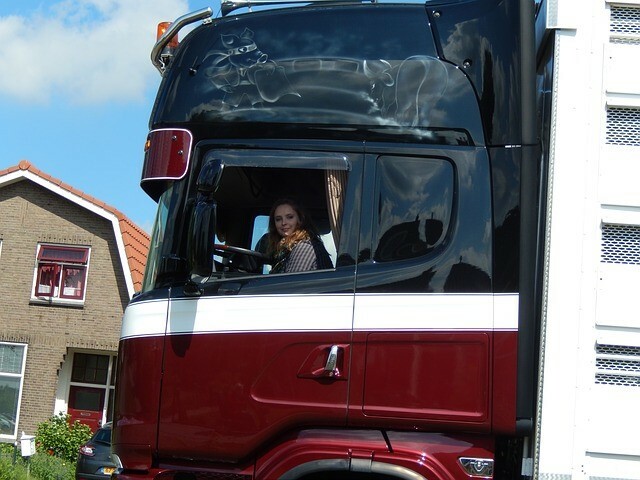 Frequently, women get interested in this occupation because they have a spouse, friend or family member in the business or they ride as a passenger in the truck and want to learn to drive.Many couples get into trucking because they enjoy the adventure of being on the road together while earning money. Although women truck drivers may currently be relatively small, experts in the field predict their presence will grow. The United States Bureau of Labor projects employment of heavy and tractor-trailer truck drivers will grow five percent from 2014 to 2024, but other industry sources expect truck driver jobs to expand up to 20 percent. For the young and for older Americans, regardless of gender, driving a tractor-trailer can be a great way to make a living. In addition, working for a large retail or business-to-business corporation or a national trucking company frequently offer benefit packages. A good salary is a key benefit for commercial truck drivers. In the first year of a CDL driver job, the average driver will make approximately $40,000 and there can be financial bonus programs.Plus, the job offers a great deal of freedom and flexibility and provides a steady income, which is something everyone enjoys. So if you are fresh on the lookout for a long-term job path or searching for a second career after burning out on typical nine-to-five office employment, trucking may be able to offer you just what you need!